The 2017 Audi A3 Sedan, Cabriolet and Sportback models have the unenviable job of squeezing what makes an Audi an Audi into an entry-level vehicle. 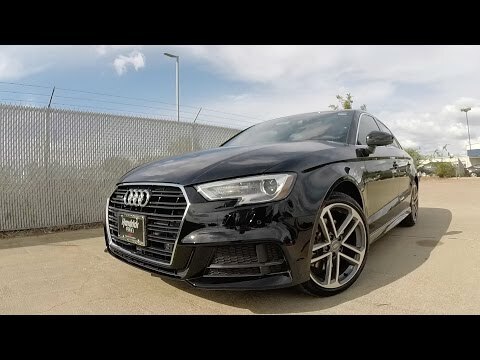 Sporty and welcoming with a willingness to run, the A3 is a joy to drive, the Sportback e-tron plug-in hybrid hatchback is the line's new fuel-economy leader, and the 292-horsepower S3 with standard quattro all-wheel drive heightens both handling and acceleration. The hexagonal front grille, sharper headlights and slightly adjusted front. It is a comfortable and cool car. It is a nice car. Not very big so it is easy to park and go around with. It is a European brand so it is nice and comfortable. Plus the quality is very good and you get to choose from many different colors so it is cool. In addition you also get to have a lot of space in the back, even if it is a quite small car. It is a good car for young people so it is nice to have it as a first or second car. It is a nice car but it is good if you are a discreet person because it does not stand out that much. Best car I have own, looking into another one. Used to have issues with the volume in the beginning, sometimes I’d turn the car on and no sound would come off. I am able to drive for a good distance on gas and the drive is very comfortable and steady. Would probably want electronic seat adjustments on the passenger seat but overall would buy another sometime soon. Volkswagen Group of America, Inc. (Volkswagen) is recalling certain 2017 Audi A3 and S3 Sedan vehicles. In a lower-speed crash situation, the air bag control unit software may deploy the passenger frontal air bag improperly if the front seat passenger is sitting on the edge of the seat or is laying in the seat with the seat reclined. As such, these vehicles fail to comply with the requirements of Federal Motor Vehicle Safety Standard (FMVSS) number 208, "Occupant Crash Protection." If the air bag deploys with more force than intended, it can increase the risk of injury. Audi will notify owners, and dealers will update the air bag control module software, free of charge. The recall began April 20, 2017. Owners may contact Audi customer service at 1-800-253-2834. Volkswagen's number for this recall is 69Q3.